Sapporo is the capital of the mountainous northern Japanese island of Hokkaido. The city is world famous for its incredible skiing, top quality beer and annual Snow Festival. 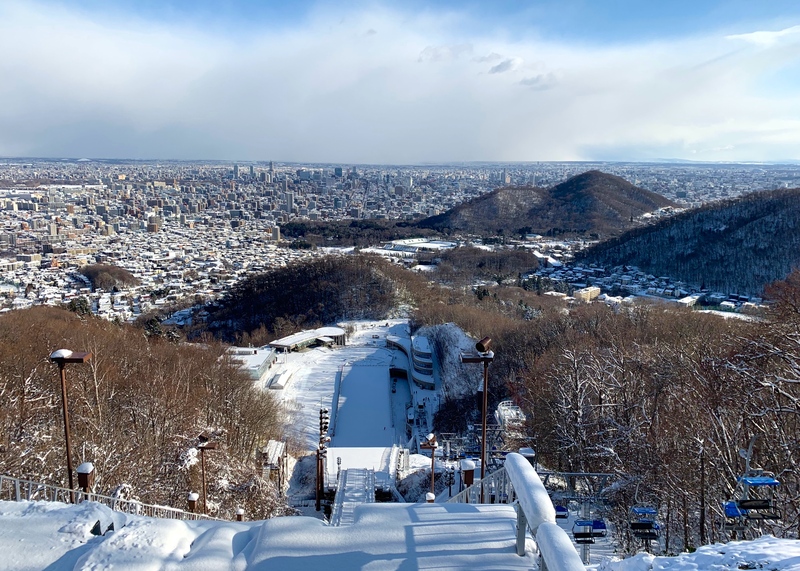 If you plan to be travelling around Japan in the winter time you simply have to make a trip up to Hokkaido, and Sapporo is a great place to start on the island. 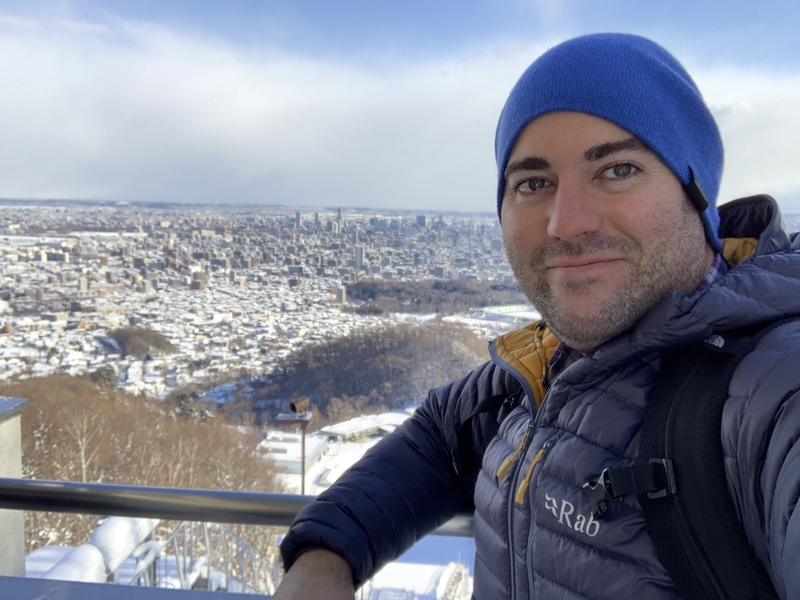 With so much to do in Sapporo during the winter, I wanted to put together a handy travel guide to exploring the city. Getting to Sapporo is easy with many domestic flights departing from Tokyo to New Chitose International Airport. The airport is a short 40-minute train ride away from Sapporo JR central train station. You can reach Sapporo by Shinkansen and express train from Tokyo if you happen to be using a JR rail pass but generally flying is a lot more affordable, quicker and easier. 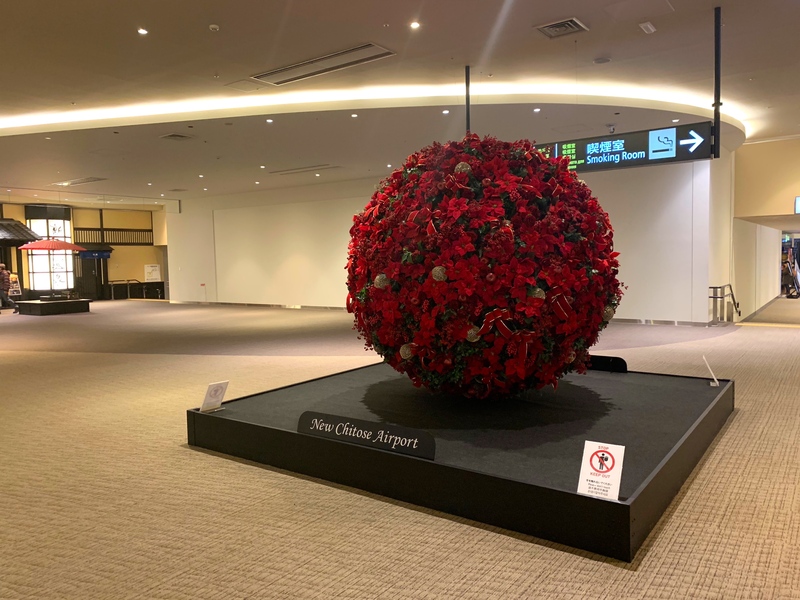 New Chitose International Airport has many facilities for travellers to enjoy, such as a cinema, an onsen hot bath, a game arcade, shopping for last minute gifts as well as a Hokkaido ramen focused food court. Perfect place to spend some time before a flight to make travelling more fun. 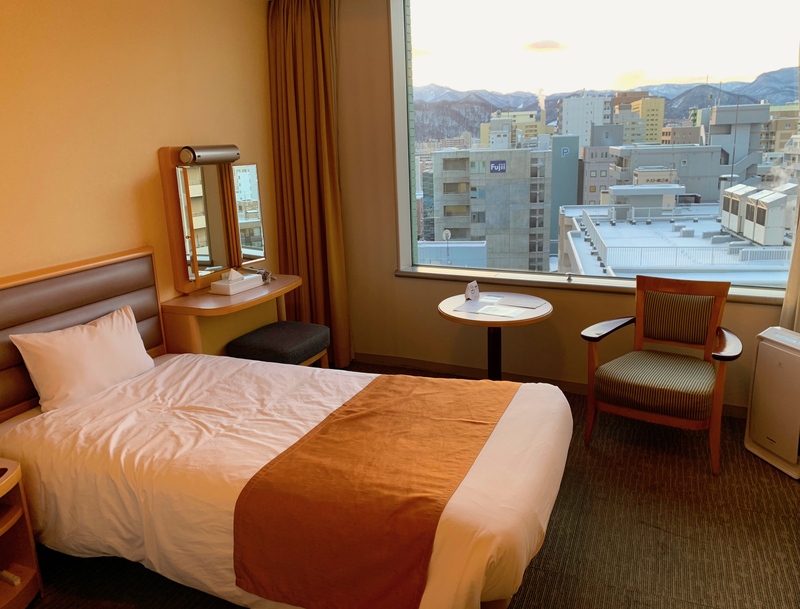 If you’re looking for an affordable place to stay in Sapporo with nice rooms, great service and a perfect location then look no further than Sapporo Prince Hotel. 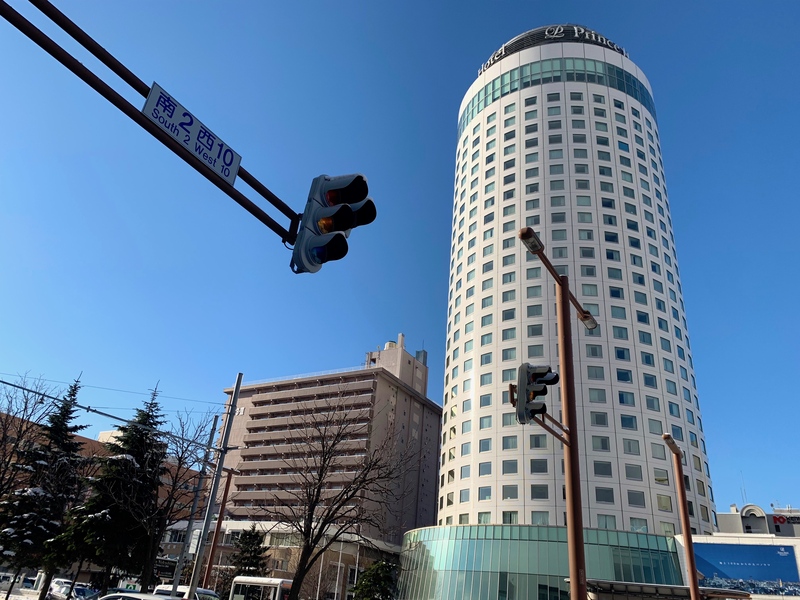 They offer a wonderful breakfast buffet to start your day and have an onsen for guests to use and relax in after a full day of exploring Sapporo. I was lucky that my room had a stunning view overlooking Mt. Okura, which was perfect for enjoying a stunning sunrise and sunset view over Sapporo. 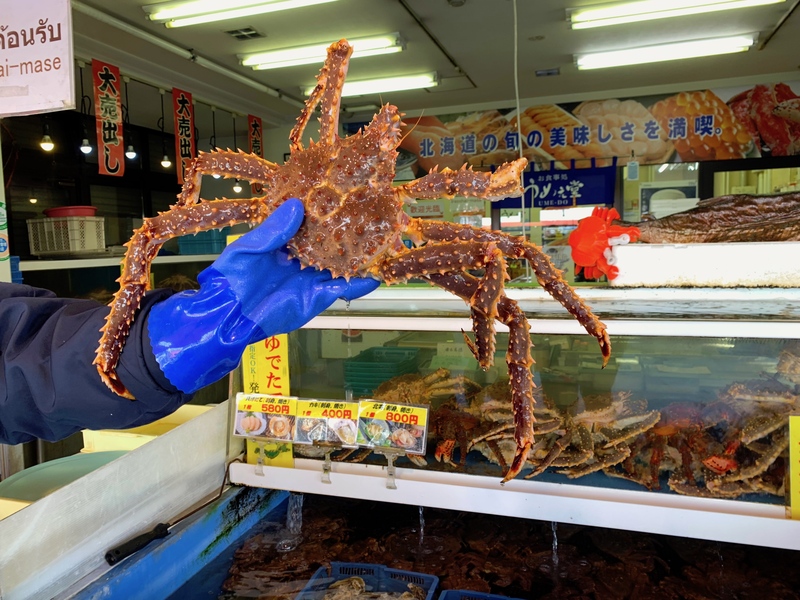 Visiting any seafood market in Japan is an excellent way to experience the local produce. For Sapporo, I would recommend checking out Sapporo-Jogai-Shijo, Curb Market. From Sapporo JR station, take the train to JR Soen Station, and the Curb Market is a ten-minute walk away from the station. Walk around over 70 stores and restaurants that are lined up along street blocks. The market is tourist and local friendly with reasonable prices and good quality seafood. 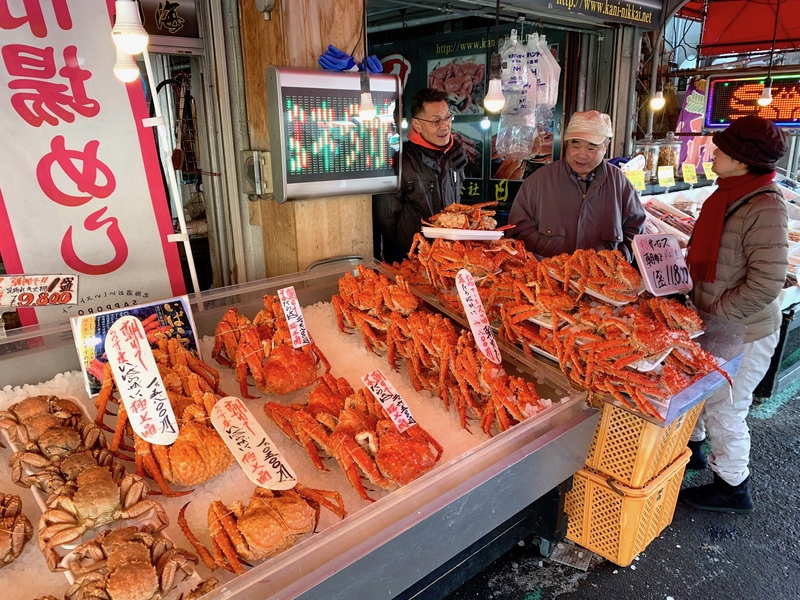 Most vendors here sell king crab which is a speciality of the area and most commonly used within local dishes, such as Hokkaido ramen. It’s possible to order from some wholesalers at Curb Market a leg of king crab to heat and eat on the spot. What an awesome way to enjoy the popular local dish. Another popular dish to try at Curb Market is a seafood bowl called a Kaisen-Domburi. 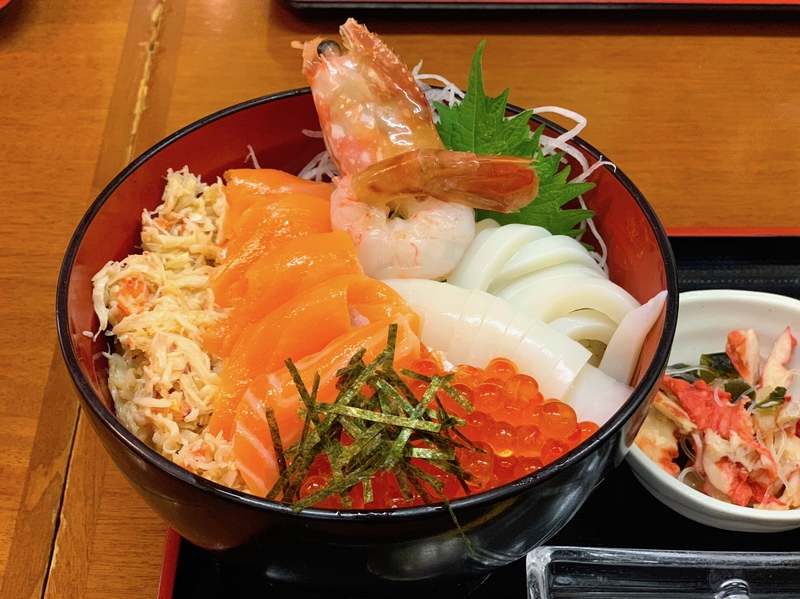 The Kaisen-Domburi bowl consists of a rice bowl base topped with a wide selection of seafood. 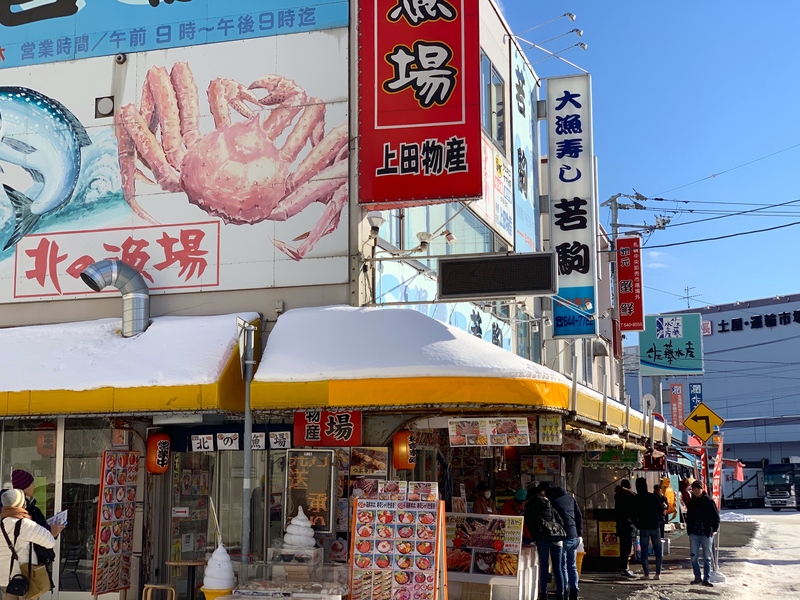 I went for a selection of the most popular fish choices to be found at the market: king crab, salmon roe (eggs), squid, scallops and freshly sliced tuna and salmon. A selection of restaurants at the market also have an English menu available for you to custom-make and enjoy during your visit. 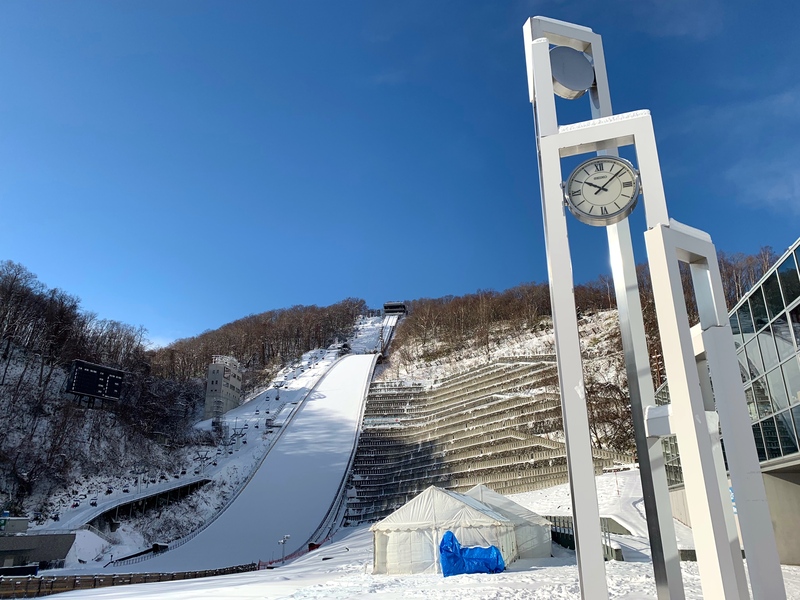 The Okurayama Ski Jump Stadium was used in the Sapporo Winter Olympic Games in 1972 and the stadium is still used today for the official use of Ski Jumping competitions. You can also visit the observatory deck where you can enjoy a wonderful view over Sapporo city from the top of Mt. Okura. Take a ski lift from the bottom of the ski jumping venue to the top and look over the ramp and enjoy the view over the city. This spot makes for a perfect location to enjoy a coffee with a view. You can also pay a visit to the Sapporo Olympic Museum which has a large choice of interactive displays about the history of the Winter Olympic Games. 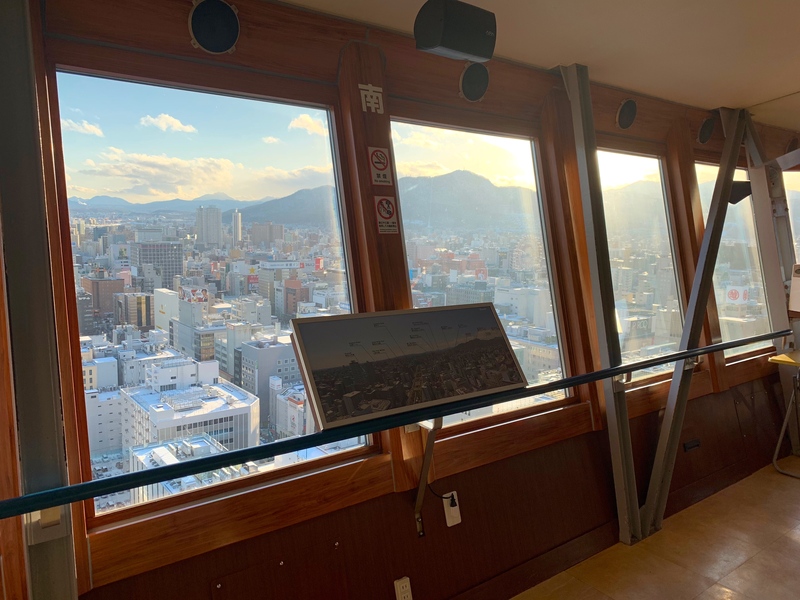 A visit to Sapporo wouldn’t be complete without going up to the top of the Sapporo TV Tower. Built in 1957, the TV Tower has become an iconic landmark for Sapporo as the 147.2-metre high tower stands tall right in the city centre. It takes only 60 seconds by elevator from the third floor to the observation deck, which is located 90.38 metres above ground and open for visitors to enjoy. The TV Tower offers an incredible panoramic view of Sapporo city as well as a great winter view over Ishikari countryside and Odori Park. If you’re looking for a place to grab lunch, be sure to check out Ganso Ramen Yokocho a.k.a Sapporo Ramen Alley. Here you will find a selection of ramen establishments serving the popular Hokkaido style ramen dish. 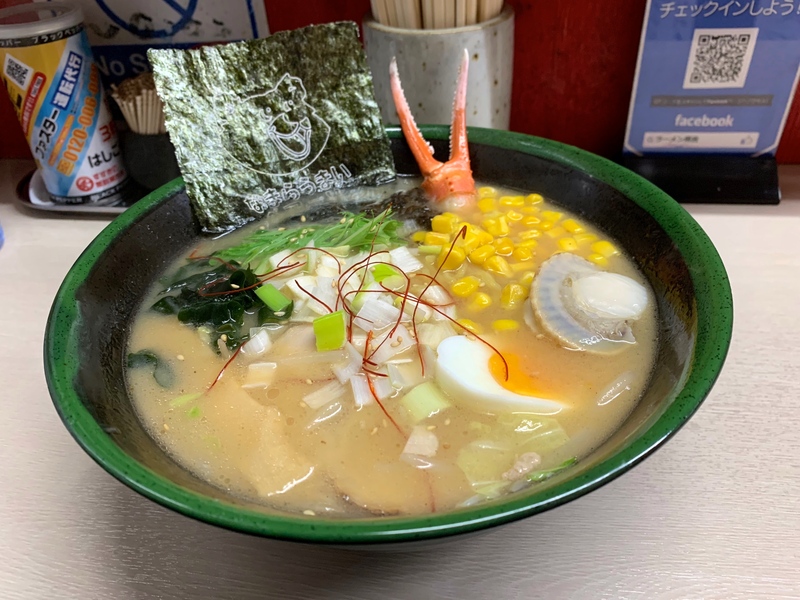 Hokkaido ramen is popular for having a selection of tasty seafood items in the bowl such as king crab, scallop or clam. The signature of Hokkaido ramen is to add a block of butter on top of a scoop of sweet corn. The butter then melts over the top and adds flavour to the ramen broth. It’s a truly delicious dish and a great way to warm up in the winter time. Be sure to get lost down Ganso Ramen Yokocho, find a seat with one of the vendors and enjoy the ramen experience Hokkaido style. 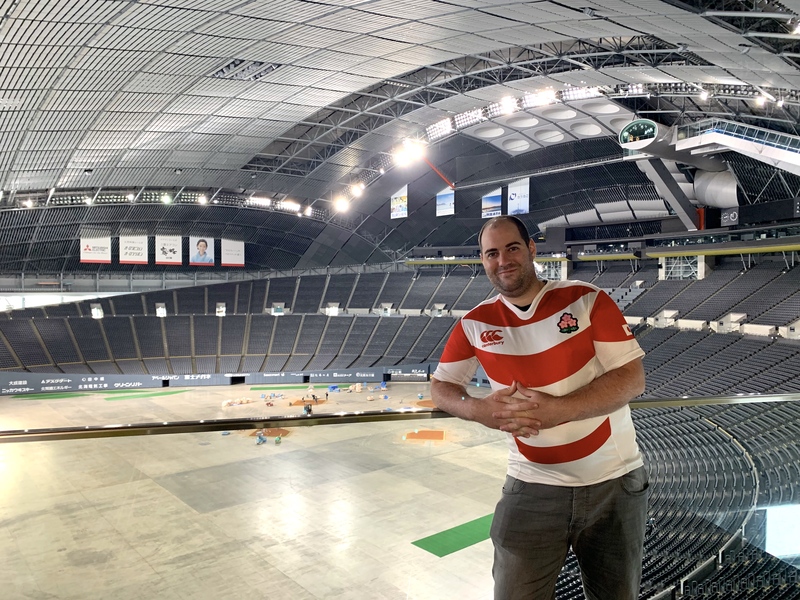 In 2019 Japan will host the Rugby World Cup and Sapporo will be a host city for a few of the games which will be held at the Sapporo Dome. It’s easy to get to the Sapporo Dome from Sapporo city centre. Take the subway Toho Line (blue line) from Sapporo JR Station towards Fukuzumi Station and take exit 3. Walking from Fukuzumi Station to Sapporo Dome will take you 13 minutes. On match days, the stadium can become busy so best to take your time and walk the distance. – Australia vs Fiji on Saturday September 21st, 2019 with kick off at 13:45. – England vs Tonga on Sunday September 22nd, 2019 with kick off at 19:15. Sapporo is a big sports city and I hope all the rugby fans are looking forward to watching the games in the city. Those who want to enjoy the rugby atmosphere in the city should head to Odori Park or Susukino for the nightlife after the game. Voted as one of Japan’s best night time views, you simply have to head up to the top of Mt. Moiwa and see the view yourself to believe it. 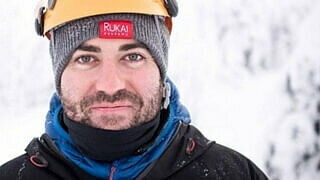 It’s a good idea to wrap up warm as you head to the top of the mountain, it can get chilly there. You can access the peak of Mt. Moiwa and the viewing platform by riding the ropeway and then transferring to the cable car. 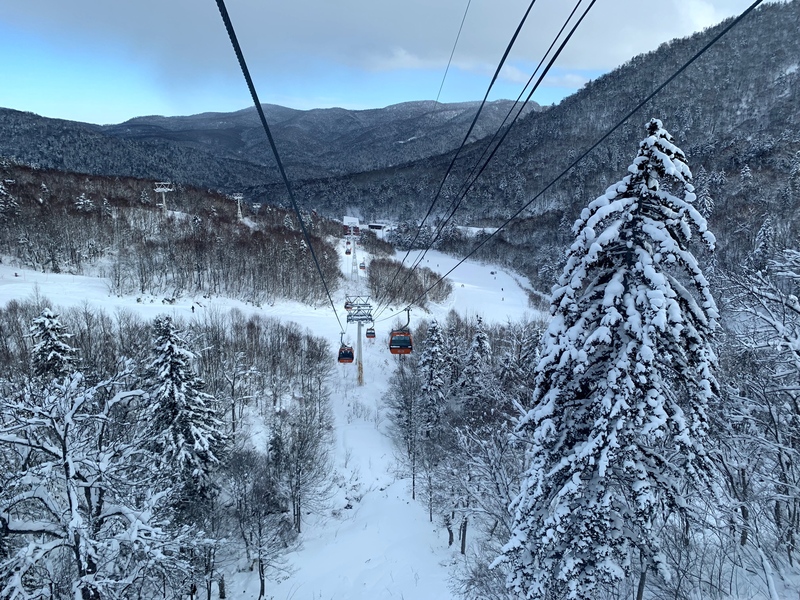 You can reach Moiwa Sanroku Station from the city by taking the public tram and a free ropeway transfer bus to reach the ropeway. The ropeway that departs from Moiwa Sanroku Station travels 1,200 meters in less than five minutes. Enjoy the view of Ishikari Bay in the distance as well as the cityscape and unobstructed views of Sapporo as you reach the top. Next, transfer from the ropeway to the cable car which is called Mo-risu Car. It brings you to the peak after traveling through the forest lands. Be sure to check out the views from both the ropeway and cable car as you reach the peak. At the ropeway entrance, you can purchase all the tickets for all the rides and be sure to keep an eye on the times to ensure you can make all the transfers on time. Once you’ve made it to the top, enjoy the view! 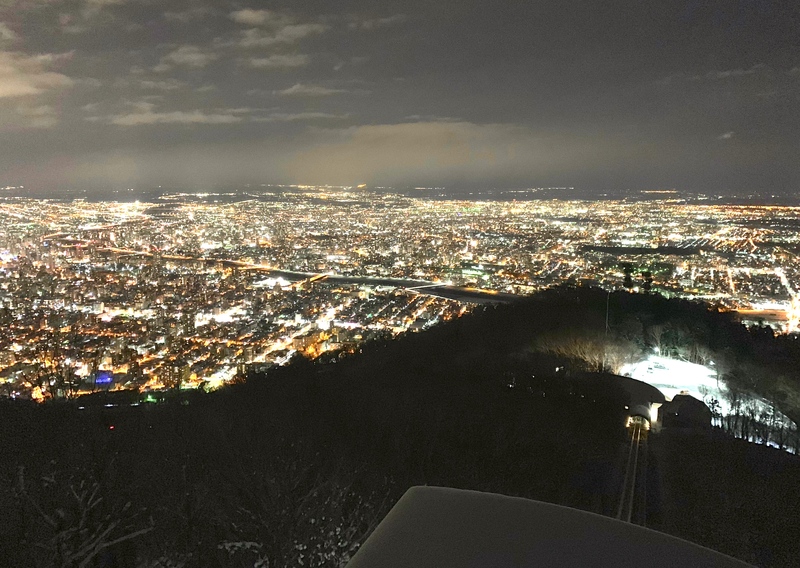 The peak observatory is a wonderful spot to enjoy stunning night time views overlooking the city lights of Sapporo which sparkle below. 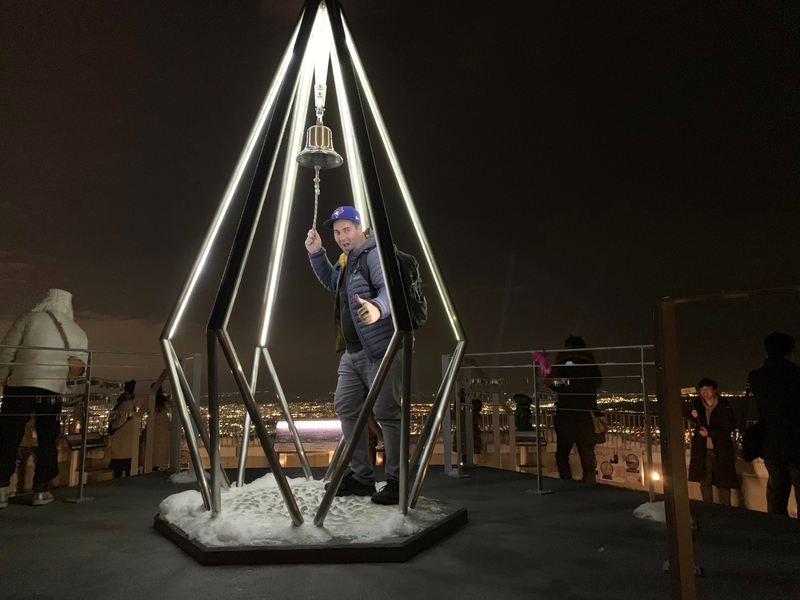 Remember to ring the bell once you’re at the top of Moiwa mountain. The bell rings over the city for good luck and is said to bring happiness to yourself and the city. What a great way to mark your time in Sapporo. Susukino is one of the major downtown area in Japan and the most popular district in the city for drinking, eating, karaoke and entertainment in general. If you’re looking for a place to party, watch sports games or celebrate, then this is the place to be in the city. Hours of endless fun can be discovered here. 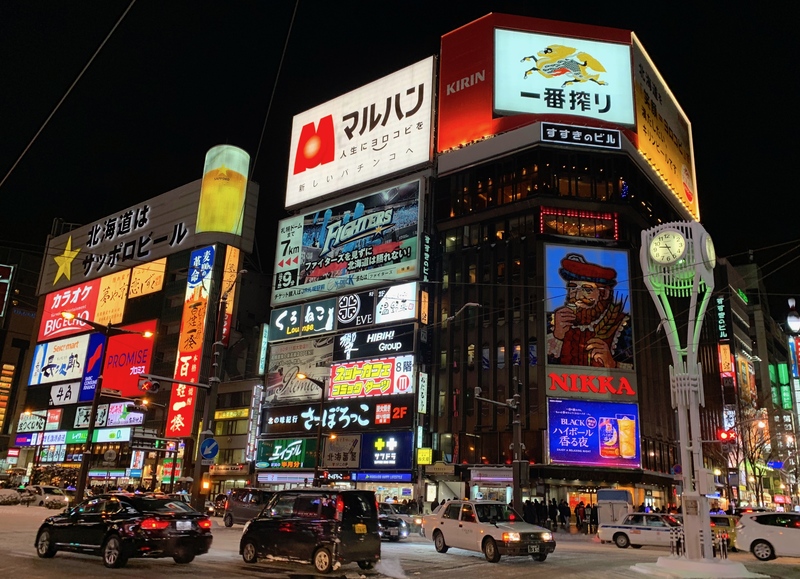 In this district you can also find a selection of shops and department stores with popular brands, making the area great for shopping if you’re looking to buy anything during your time in Japan. 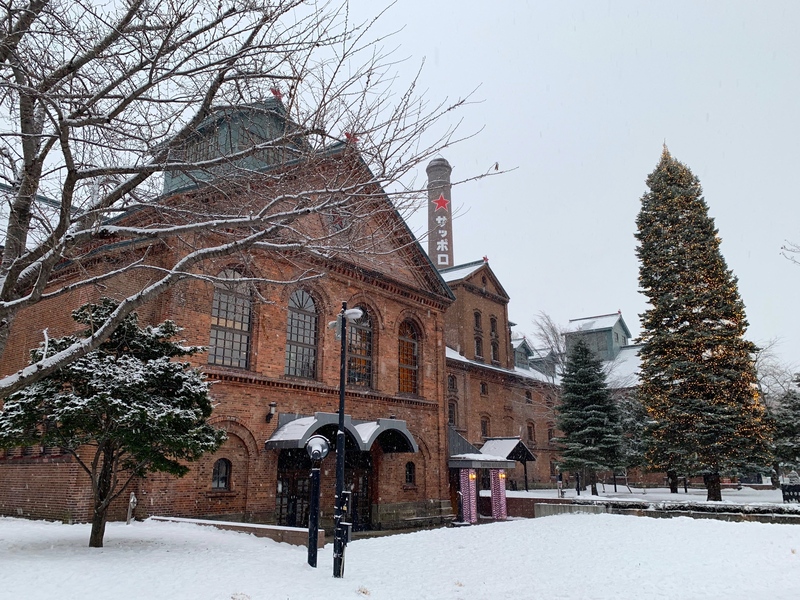 The Sapporo Beer Garden and museum is located just outside of the city centre and easy to reach and is free for visitors to enter. They also offer guided tours in English about the history of Japanese beer, especially Hokkaido’s most popular and enjoyed beer, Sapporo beer. Be sure to enjoy the exhibition as well as a tasting session at the end of the tour. This gives you a nice chance try the popular beer which is used to be brewed here. Sapporo Classic edition is exclusive to the island of Hokkaido. It is worth trying and rather refreshing after a day of exploring Sapporo. Jingisukan is a popular dining experience in Sapporo and around Hokkaido. This Genghis Khan style is a grill concept in which the meat is prepared over a heated convex metal skillet. The most commonly prepared dish is mutton with a selection of vegetables, and you cook it over the heated grill. The dinner experience is both delicious and fun. 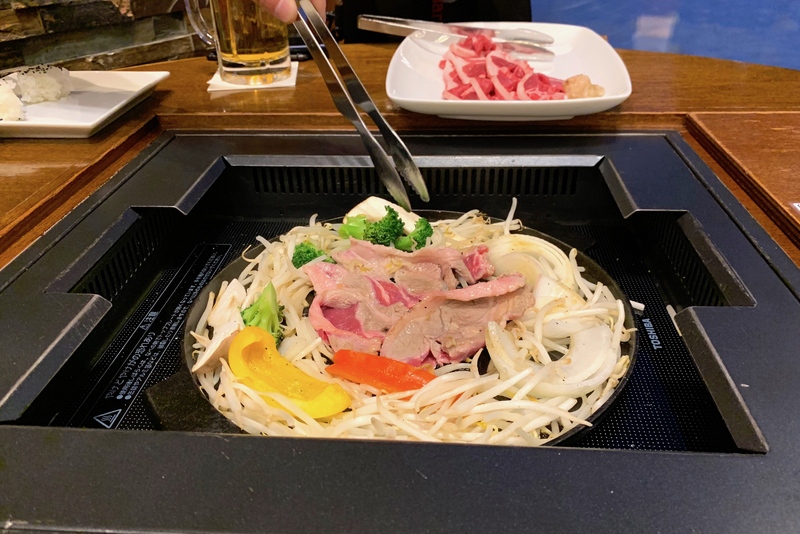 At the Sapporo Beer Garden and museum, you can find the Garden Grill Sapporo which offers the Jingisukan cooking experience. It is a great place to enjoy your meal while admiring the winter view of the brewery through the window. Grab your skis as the winter fun continues in Sapporo. You can take a bus from the city to the close by Kokusai Ski Resort to hit the slopes. 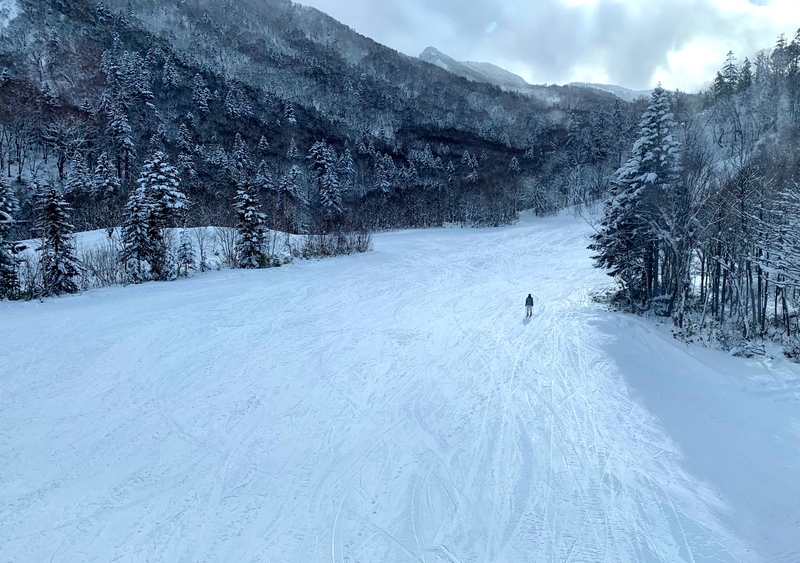 In Japan, skiing is a popular sport to try in Hokkaido, and with Kokusai Ski Resort being close by to the city of Sapporo, you have no excuses not to enjoy the endless skiing options. 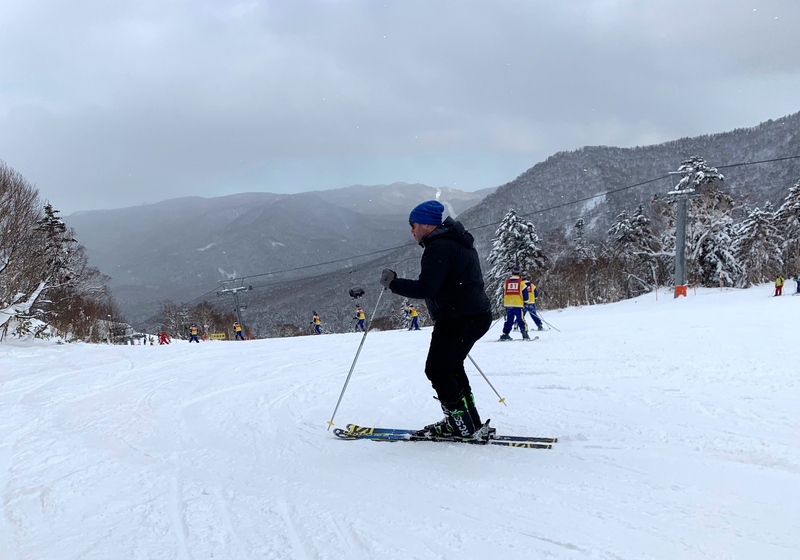 After a full day of skiing I found the slopes at Kokusai Ski Resort to be awesome with a great selection of runs for different abilities. A fresh snow drop had happened the day before and afterwards the skies had opened, and the sun was shining on a clear day – the conditions couldn’t have been any better. In Europe you head for après ski after a skiing session but in Japan it’s all about warming up over a tasty bowl of ramen. 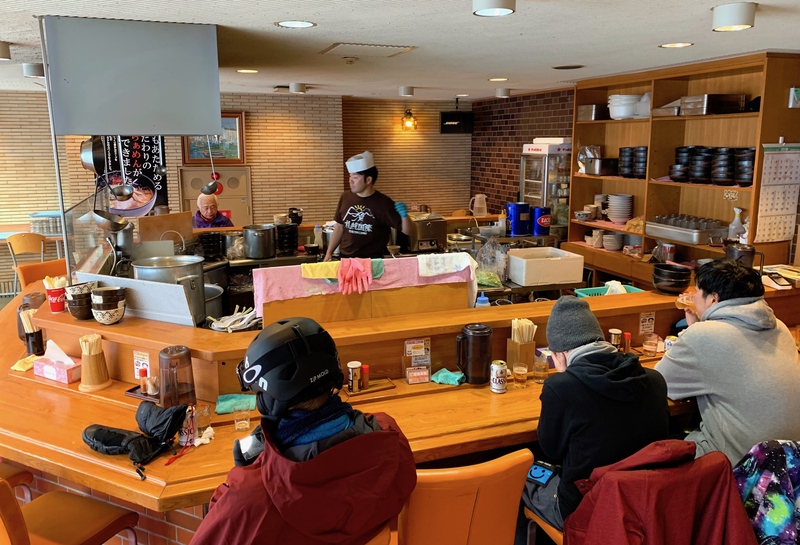 Once you’ve dropped off your rental gear, head to Owl Ramen Shop located on the first floor at the bottom of the slopes. The recommended choice here is the spicy miso ramen which will surely do the job of warming you up fast. 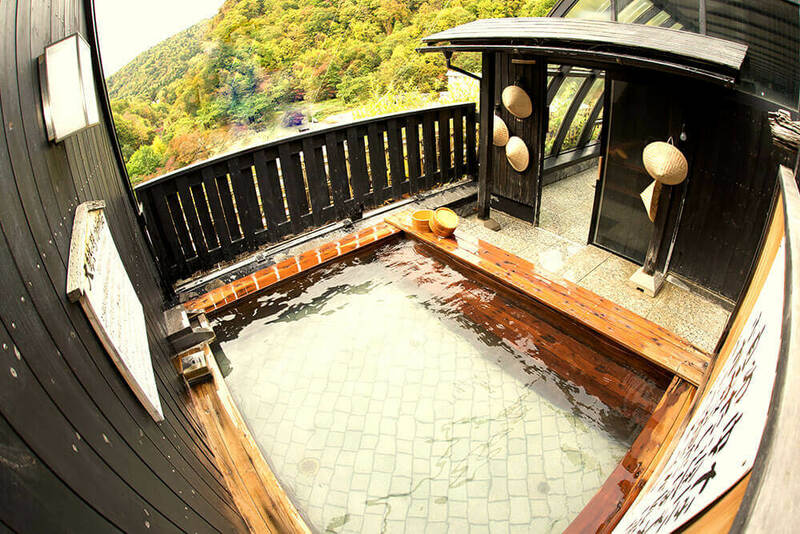 Another great option to enjoy after skiing is to go for a relaxing onsen bath. You can grab a bus to the next town along the valley and enjoy bathing at Jozankei Nukumorino-Yado Furukawa Onsen which has a roof top and outside facilities. There you can enjoy a stunning mountain view before heading back to Sapporo. 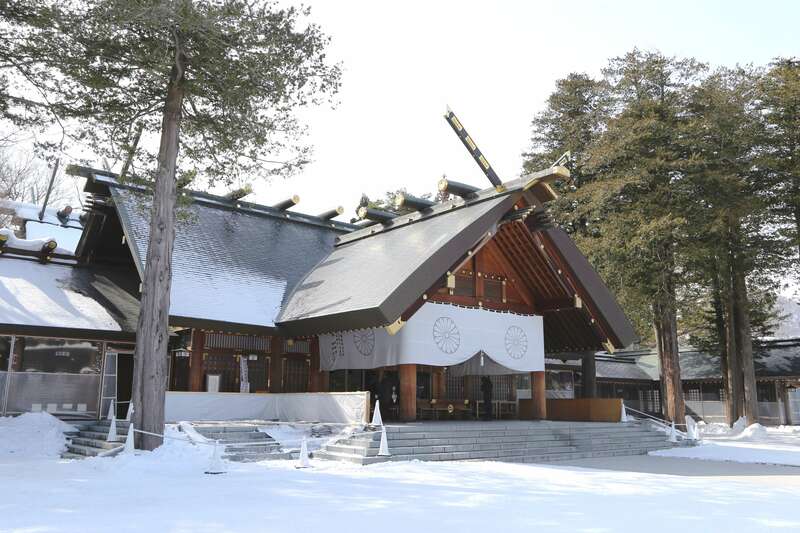 If you’re looking to escape the city for some peace and quiet, then look no further than the Hokkaido Jingu shrine which is located close to Maruyama Parkjust outside of the city centre of Sapporo, Hokkaido, Japan. At winter time you can normally find the shrine covered in snow which makes for an idyllic setting during this time of the year. Additional events are held in Sapporo throughout the winter to create a magical atmosphere during this special season. Here are a few events you should look out for! 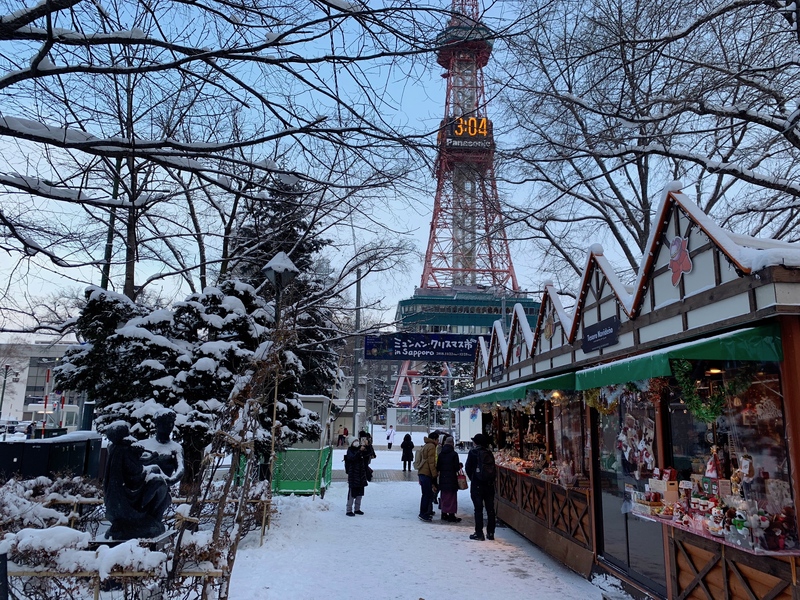 Did you know that Sapporo has its own German Christmas market which they have held every year since 2002? It’s pretty awesome! I never would have imagined finding a German Christmas market in Japan, but the wintry setting is certainly perfect for it. 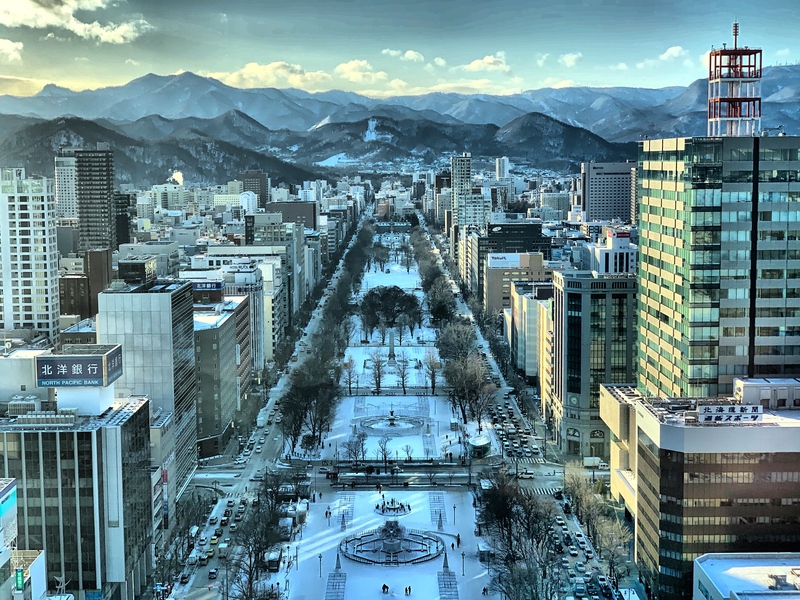 Sapporo has been a sister city of Munich, Germany since they both hosted the Olympic Games in the same year (winter/summer) back in 1972, and the Christmas market was set up to mark the friendship between the two cities. 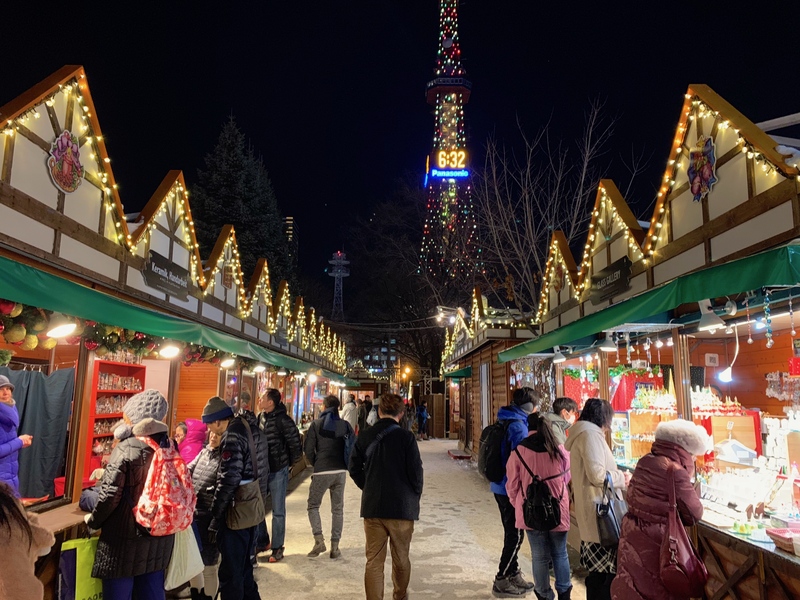 If you haven’t been to a German Christmas market outside of Germany, the Munich Christmas Market in Sapporo is an enjoyable one to experience. The Christmas celebration starts from late November and continues until Christmas day. 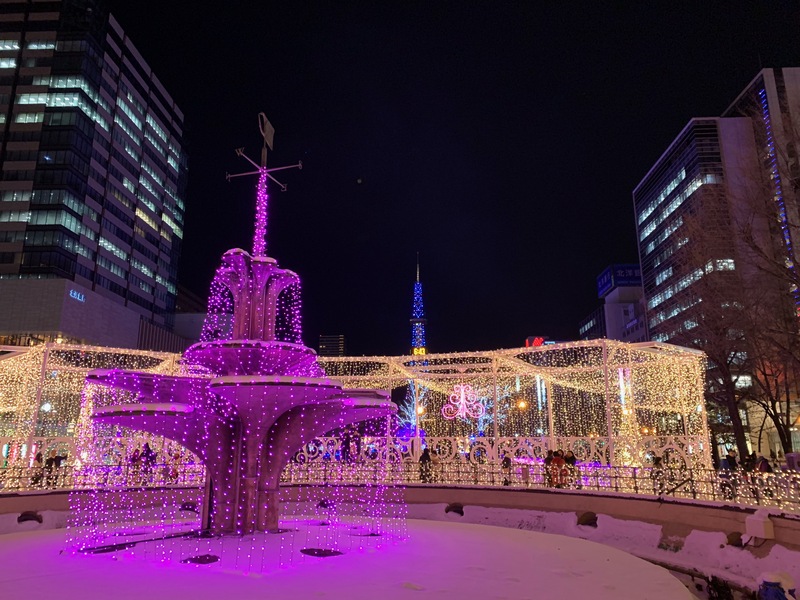 At the same time the Sapporo White Illumination begins at Odori Park where you can admire beautiful lights and enjoy the festive season. Be sure to check it out on your next visit to Sapporo. The Sapporo Snow Festival has been held since 1950, and it is one of the most popular attractions in Sapporo during the winter time. The story has it that the festival started when students started to build snow statues in Odori Park at the middle of the winter in February. The festival has since grown in popularity and the snow statues have become larger in scale each year. Spectacular snow and ice sculptures are created during one week and can take up to a month to complete before the February opening, and the event attracts more than 250 million visitors from across Japan and the world. 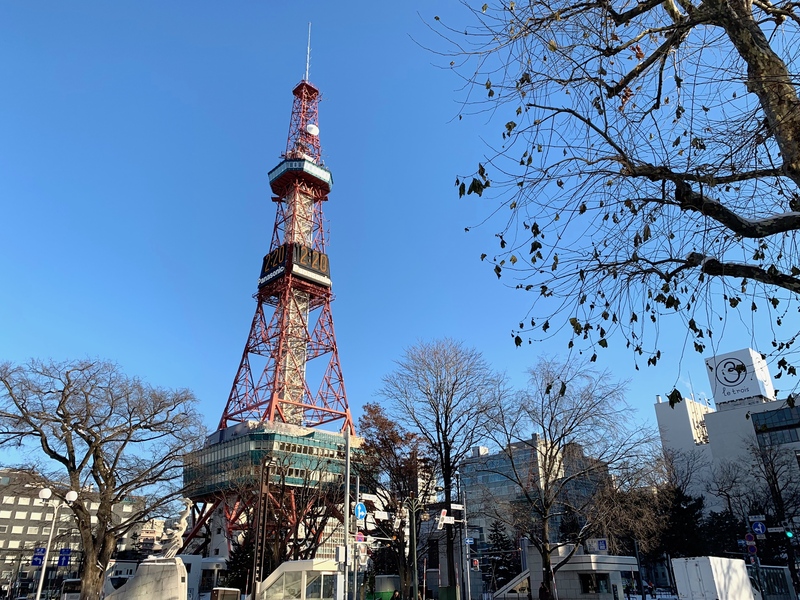 Alternatively, you can head up to the top of the Sapporo TV tower which looks over Odori park. This way you can get a unique view over the Sapporo Snow Festival. Shikotsu Lake is located in the Sapporo region. 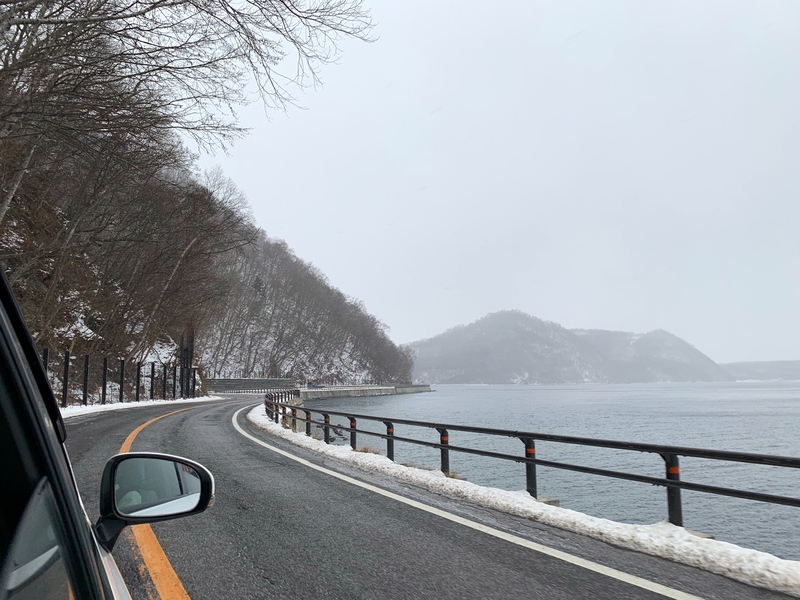 It only takes 1.5 hours to drive from Sapporo city to the lake, which makes it an ideal location for a day trip. 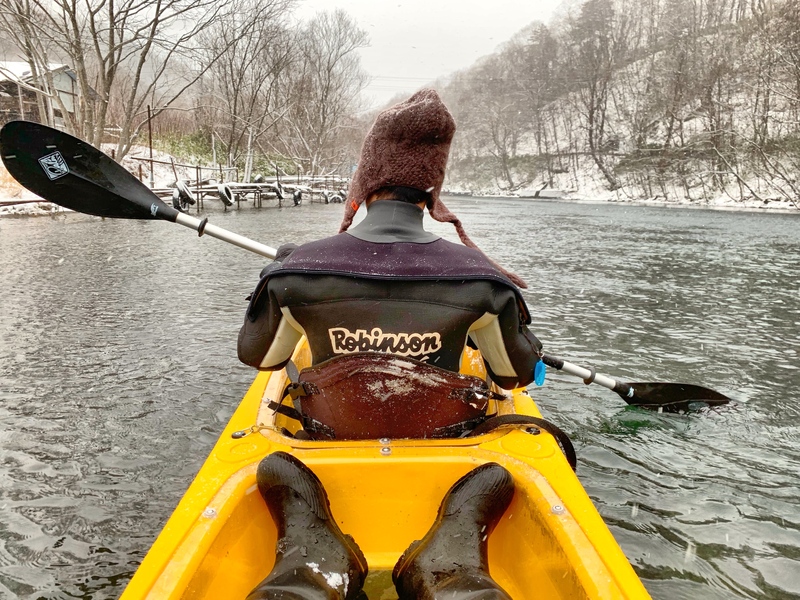 Normally I wouldn’t put winter and canoeing together, but I’m always up for a challenge. At Lake Shikotsuko you can wrap up warm and head into the water. You can book your canoeing session in advance at the guest house Shikotsu Kamui Nature Activity Center Ocean Days. The best way to view the surrounding mountains is from the comfort of your canoe as magical snow falls around you. The lake is a caldera lake which was formed from collapses in the earth after volcanic activity. 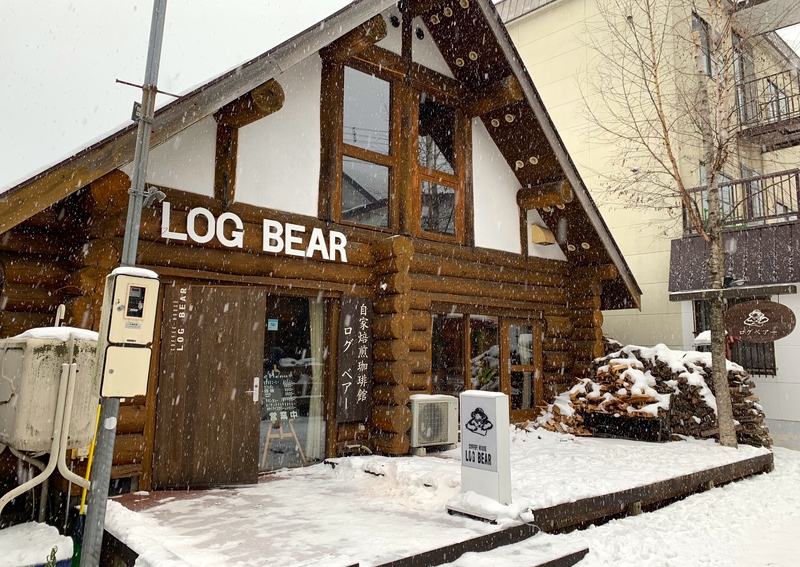 After a fun canoeing session, be sure to warm up and stop off for a coffee in town at LOG BEAR cafe, Shikotsu Lake. This cosy location offers a warm fire, wonderful coffee selection and a nice set lunch menu. Thank you for reading my ultimate guide about exploring Sapporo city in the winter time. There are lot’s of things to do in Sapporo, and it is a great destination to discover in the winter. I hope you found this blog post most useful and full of helpful travel tips to enjoy on your next visit to Sapporo. If you have any more questions about Sapporo, let me know via email and I will be more than happy to help.